One of the best parts of Christmas is digging into a mince pie. Mince pies are a culinary staple of everyone’s favourite holiday season. Whether they’re lower fat Slimming World mince pies, sweet and nutty Bakewell mince pies, or a couple of mini mince pies, there’s nothing better on a cold winter evening than a warm sugary mince pie topped with a dollop of cream (or Bailey’s cream if you’re feeling extra indulgent). But bargain supermarket Aldi is bringing back a customer favourite mince pie flavour to add a bit of extra luxury to the festive season. Always hitting the spot with their creative and out-of-the-box foodie creations (see their foot-long pigs in blankets and six-litre bottle of prosecco), good old Aldi is re-releasing their salted caramel mince pies. As part of their new festive food range, Aldi is launching their Specially Selected Flavoured Mince Pies in Salted Caramel. For only £1.99 for a packet of 6, these crumbly pastry cases filled with sweet and spicy mincemeat and a dollop of gooey salted caramel are well worth stocking up on. If you want more indulgent Christmassy goodness, take your pick from the many treats included in their festive food range. For salted caramel lovers they have a boozy Specially Selected Salted Caramel Vodka Pudding for £6.99 so that you don’t have to miss out on the Christmas pudding if you’re not a fan of all the fruit. 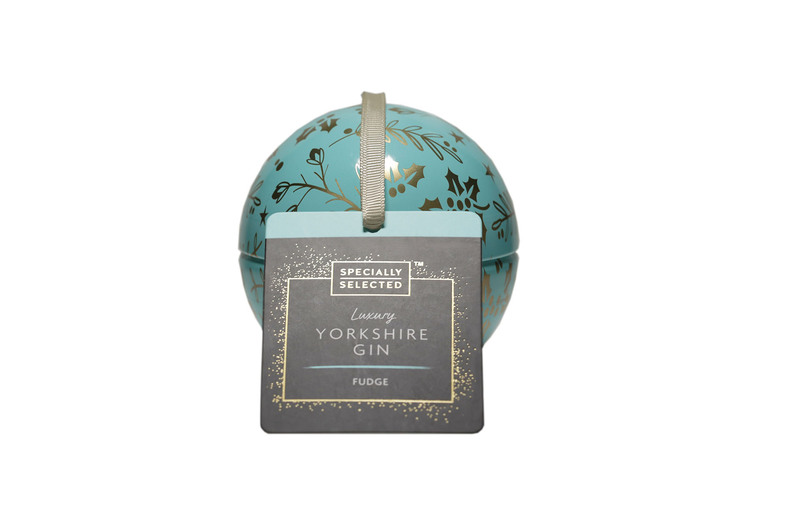 And if you don’t let a year go by without hanging a packet of tree chocolates on any and every available branch without a bauble, try out their Specially Selected Fudge Baubles that come in a gin or a salted caramel flavour for whatever kind of taste tickles your fancy. Plus they come in at only £2.49 a packet – better than a box of glittery gold baubles right? The range will be available in-store from 1 November, so pack away those broomsticks and head down to get your hands on them. Think we’re ready for Christmas already!